We just love this Jubilee variety of our popular Mardi Gras® ballpoint pen! Your customers will too when you hand them out at your next event! 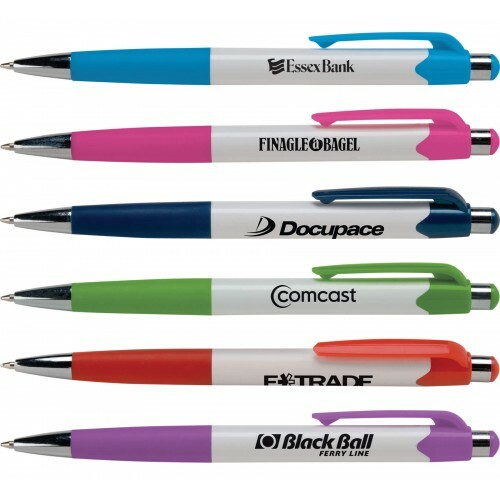 This click-action advertiser features a crisp white barrel with your choice of six fun trim colors that will make your imprint come alive before their very eyes! 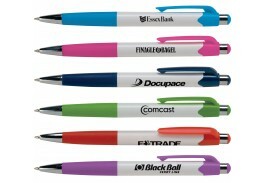 Writing will be a party with the generous colored rubber grip and our guaranteed ultra-smooth writing cartridge. Price includes a Full Color Imprint!